Y-Films, the youth wing of Yash Raj Films (YRF), that has been known for clutter-breaking content & innovations, announced yet another first with their next feature film, Bank-Chor. The film Bank-Chor, starring Riteish Deshmukh, Vivek Oberoi and Rhea Chakraborty, is a story of 3 idiots trying to rob a bank and how they pick the worst day possible to do it. 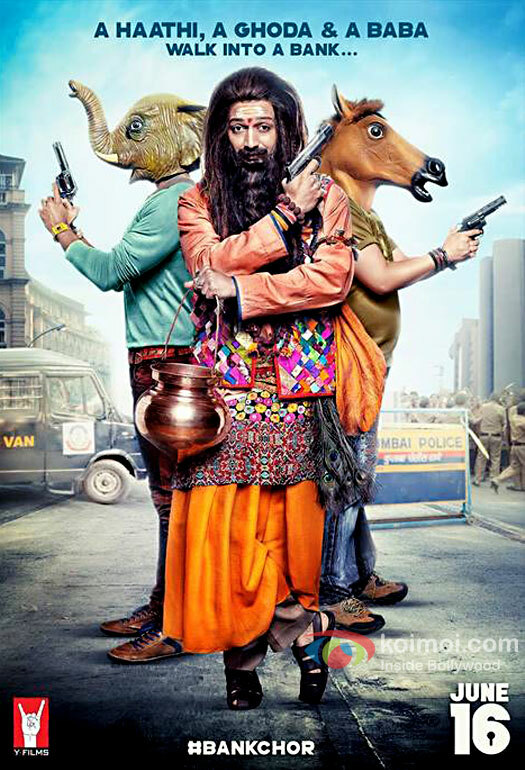 Bank-Chor is a fun comic thriller directed by Bumpy and produced by Ashish Patil. It features music by Shri Sriram, Superbia [Gourov Dasgupta, Roshin Balu & Shaan], Kailash Kher, Rochak Kohli, Baba Sehgal and Shameer Tandon. It is set for release worldwide on 16th June, 2017. The post Bank-Chor: Release Date Announced; First Look Poster & Motion Poster Released appeared first on Koimoi. Motion Poster Of Happy Bhag Jayegi Out Now!